Food is full of ‘flavour enhancers’ (sugar) – which adds pounds! 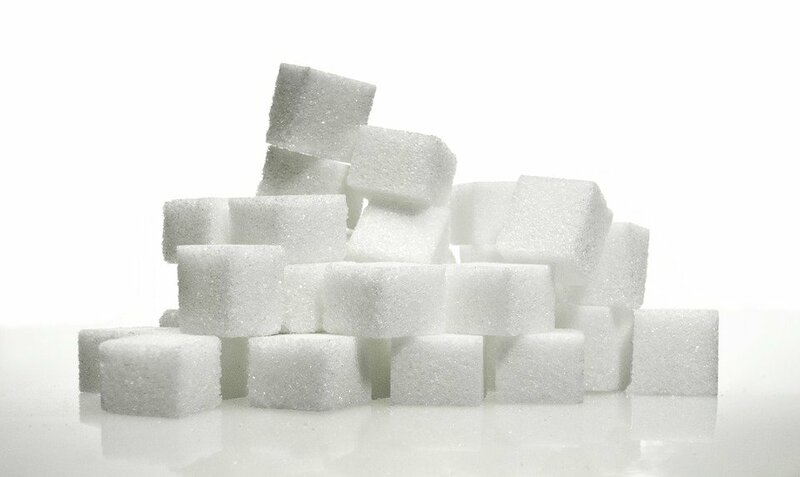 Eating a Pizza, or some ‘Fat free’ products can have the same effect as nibbling away at all these sugar cubes. Recently the Daily Mail warned Milkshakes can contained 39 spoonfulls of sugar; this amount has been called ‘grotesque’, yet our food often contains unhealthy amounts of the sweet stuff. Even savoury products use sugar to enhance flavour – hence the name. Yet most people think a milk-shake is a healthy option. Or reach for a ‘healthy’ pre-packaged sandwich not realising the filling can contain an unhealthy amount of sugar. It seems to have worked. Here is his new svelte look; he’s off diabetes drugs, and is walking around looking a slim 15 stone. On the way he used his politicians’ analytical mind to ‘decode’ food labelling, and discovered that sugar can be hidden under a huge variety of names. Some are: fructose, barley malt, maltodextrin, caramel, dextrose, maltose, saccharin, xylose, sucrose, lactose and many other scientific names. Like Tom, for years I battled with weight gain (from the drugs I was on); nothing seemed to shift this, until one day I started to seriously read the labels on all those ‘fat-free’ products I had taken to eating, thinking they would help me lose weight. And found out that once fat was taken out, it had to be replaced, usually by sugar to enhance flavour, and cunningly disguised by calling it all sorts of names. So like Watson, I looked at what I was eating, and decided to ditch the ready-meals – only eat what I could call ‘traditional foods’ e.g. with no additives. DId our ancestors eat/drink this? It’s once the laboratory technicians get hold of prepared food in the laboraties, ingredients creep in to food that add weight. In our Grandparents’ day there were no additives, and even thought they were eating cheese etc. and drinking full-fat milk, they burnt off the calories climbing stairs and walking everywhere. So like Watson, I took a look at what I was eating, and if Granny wouldn’t recognise it, I tend not to eat it. Waton even ditched his favourite Pizzas when he discovered that a small one contained 13 grammes of sugar; half the daily ration. Beware processed foods i.e. sausages; also soups, and cereals. Again, our Grandparents made their own home-made soups, and would never have used sugar. And as for cereals- it was porridge! If you were thirsty you gulped water, not reached for a fizzy drink full of sugar. And don’t believe that fruit drinks make up ‘one of your five a day’. What the label forgets to tell you that some have a massive sugar content. If it comes ready-packaged ‘for your convenience’, this probably means it is full of fattening flavour enhancers. Let’s go back to fresh food that didn’t need any additives, and run up the stairs. After all, the end result for Tom Walson was losing a massive 100lbs – that can’t be bad! I gave up packaged food more than 25 years ago and follow Dr. Hay’s way of eating. “If it didn’t grow that way, don’t eat it!” Food Combining books by Doris Grant and Jean Joice are excellent for this, also my own – much smaller – 80/20 Way is also based on Dr. Hay’s system. Eating this way gives the body’s digestive system chance to rest, and gives the body chance to repair damaged cells. Give me a call if you want to know more.